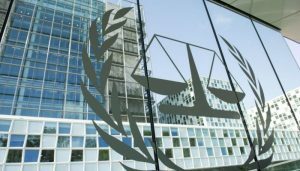 17 July 2018 – Exactly 20 years ago, the Statute of the International Criminal Court (ICC) was adopted in Rome by a conference of 160 States. It is to mark this major historical event that the 17th of July became International Justice Day. The ICC is the first permanent criminal court designed to fight impunity for authors of the most serious crimes. After a surge of enthusiasm in the 1990s, with the creation of the International Criminal Tribunals for the former Yugoslavia and the Rwanda, the Court nowadays faces important challenges. As a matter of fact, the ICC received – and still receives – severe criticism concerning its legitimacy, representativeness and impact on peace and reconciliation. It also suffered from its lack of experience, which led to certain missteps. Despite these important challenges, the consensus on relevance of international justice’s objectives still persists and calls for an innovative approach in order to elaborate solutions and contribute to the realization of these objectives. This is what the Canadian Partnership for International Justice (CPIJ) puts forward through its coordinated research program, which brings together leading Canadian academics and non-governmental actors. By enhancing the effectiveness of the global effort to hold accountable those responsible for the most serious international crimes, by deterring these atrocities, by contributing to the healing process of victims and by enhancing Canada’s role as a global leader in the fight against impunity at a time when the international justice system particularly needs it, CPIJ contributes and will continue to contribute to the Rome Statute’s global project in Canada and elsewhere. Today, we join our voice to those who contribute to make the fight against impunity a reality in an increasing number of jurisdictions, for the benefit of both justice and peace.